SAPREF is a joint venture between Shell SA Refining and BP Southern Africa. SAPREF is the largest crude oil refinery in Southern Africa with 35% of South Africa’s refining capacity. They are located in the city of Durban, on the east coast of South Africa. SAFREF processes 24 000 tons crude per day and make 10 main products in 46 different grades. We produce 2.7 billion litres of petrol per year, which is enough fuel to take 800 000 cars around the world. 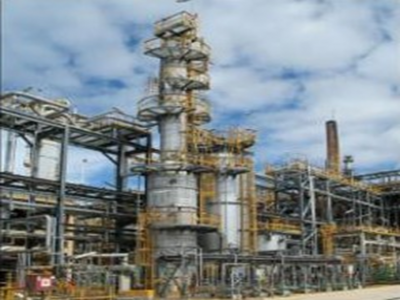 The SAPREF Refinery Maintenance program was completed in mid-2013. The project was carried out by the Kaefer Group who are one of the largest insulation companies in the world. The project scope entailed thermal insulation for boilers and pipelines and the natural choice was to use ULTIMATE U Thermo products. The application temperature ranged from 200 degC to 450 degC and saw 1400 m2 of ULTIMATE U Thermo Matt and 2800 LM (linear meters) of ULTIMATE U Thermo pipe being used. SAPREF is a joint venture between Shell SA Refining and BP Southern Africa. SAPREF is the largest crude oil refinery in Southern Africa with 35% of South Africa’s refining capacity. They are located in the city of Durban, on the east coast of South Africa. They process 24 000 tons crude per day and make 10 main products in 46 different grades. They produce 2.7 billion litres of petrol per year, which is enough fuel to take 800 000 cars around the world. 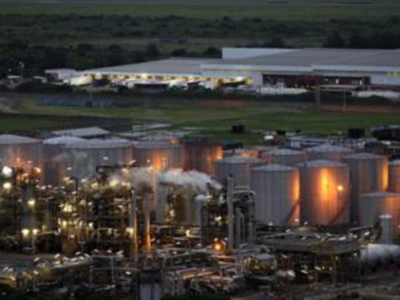 The SAPREF Refinery Maintenance program was completed in mid-2013. The project was carried out by the Southey Holdings. The project scope entailed thermal insulation for boilers and pipelines and the natural choice was to use ULTIMATE U Thermo products. The application temperature ranged from 200 degC to 450 degC and saw 700 m2 of ULTIMATE U Thermo Matt and 420 LM (linear meters) of ULTIMATE U Thermo pipe being used.